I used to devour C.S. Lewis's book after book a decade ago, when I found the joy of reading theology. 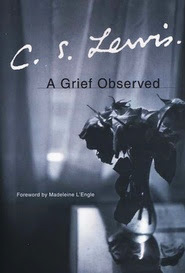 I remember reading A Grief Observed with a very basic understanding of its depth. I read it like any other book and moved on. It is ten years later now when I found out from reading Andre Agassi's Open that there is a 1993 movie about C.S. Lewis's life with Joy Greshem. 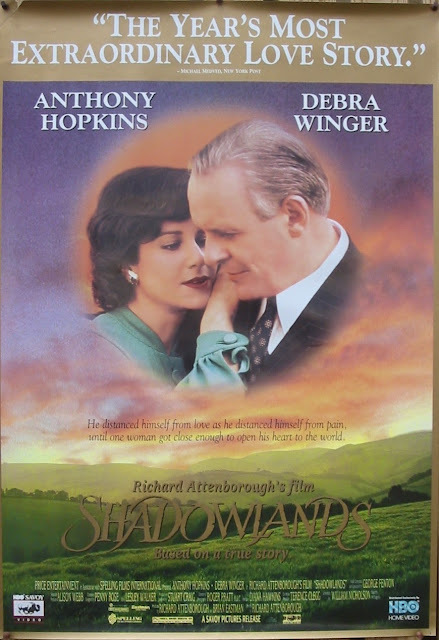 It's entitled Shadowlands. I managed to find a copy of the movie and I've just watched it. With that, even though I have many books lined up to be read now, I'm putting A Grief Observed ahead in the list. I may not have lost anyone as dear yet, but I gather reading it in tandem with Randy Alcorn's Heaven will help me put things in better perspective. It will be obvious that the pain will not be alleviated, or even lessened. But I hope to see it in newer light and have a more stable footing on the hope that is given by God in Christ. On a separate note, I am also beginning to get curious again on the topic of salvation. During the recent silent retreat, one retreatant asked why doesn't God give man another chance to receive Jesus after death. At that point of time, I thought if that were the case, it will be possible to ask the same question to no end at every stage. We are instead been given a whole lifetime here on earth to know and believe Him. But upon reading Alcorn's Heaven, I begin to really wonder. And these are not new questions: what happens to people who live in secluded out-of-reach areas and have no chance to hear the Gospel, what happens to people who did not really make a choice and regrets it the very moment after death, and pleads for another chance? The only book I have that I think may draw some light into this book on four views on salvation. by Clark H. Pinnock, Alister E. McGrath, Dennis L. Okholm, Timothy R. Phillips, John Hick, R. Douglas Geivett, and W. Gary Phillips. Increasingly, Christianity is seen as just one among many valid paths to God. Four views...presented by advocates of each, help Christians understand and meet the challenges of our pluralistic culture. Religious pluralism is the greatest challenge facing Christianity in Western culture today. The belief that Christ is the only way to God is being challenged, and increasingly, Christianity is seen as just one among many valid paths to God. 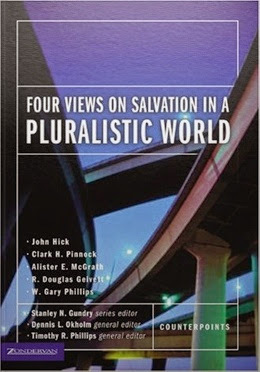 In Four Views on Salvation in a Pluralistic World, four perspectives are presented by a major advocate of each: (1) Normative Pluralism: all ethical religions lead to God (2) Inclusivism: salvation is universally available, but is established by and leads to Christ, (3) Salvation in Christ: agnosticism regarding those who haven’t heard the gospel, and (4) Salvation in Christ alone. Oh dear, my reading list is getting longer than ever. On top of that, I only have a print copy of the book on salvation. It will indeed be challenging, both on content and medium. "I pray because I can't help myself. I pray because I'm helpless. I pray because the need flows out of me all the time, waking and sleeping. It doesn't change God, it changes me." Yes, I remember those words he said. I rewinded it to hear it again!